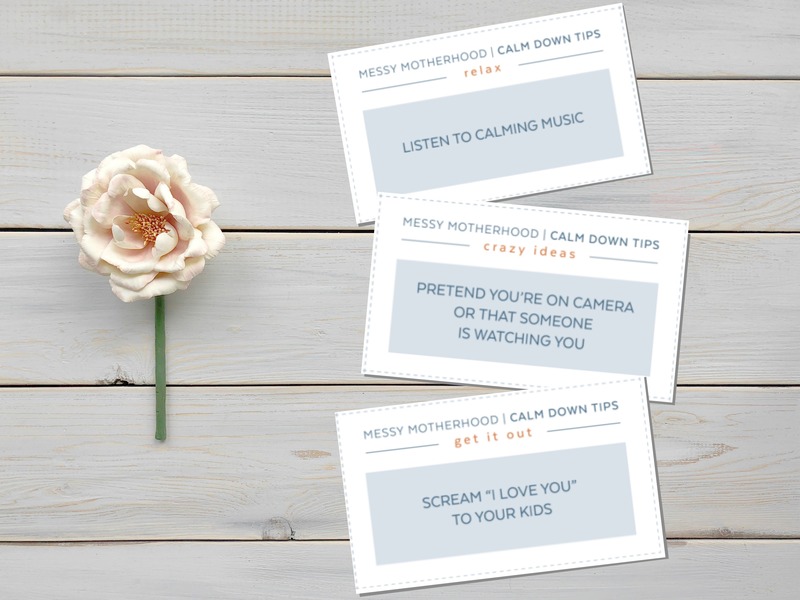 Get 50 Calm Down Cards to print out and keep with you throughout the day, so you always have the tips to stay calm in any situation, no matter where you are. These therapeutically proven tips will help you tame your temper and keep you calm and cool. Just print them, cut them, and laminate to keep them lasting longer. Put holes in the corner and use a keyring to keep them together. Throw them in your bag so they’re always with you. Tape them up around the house so the tips are there as a reminder to stay calm when you start to feel the anger rise. Play the video to see the card in action!